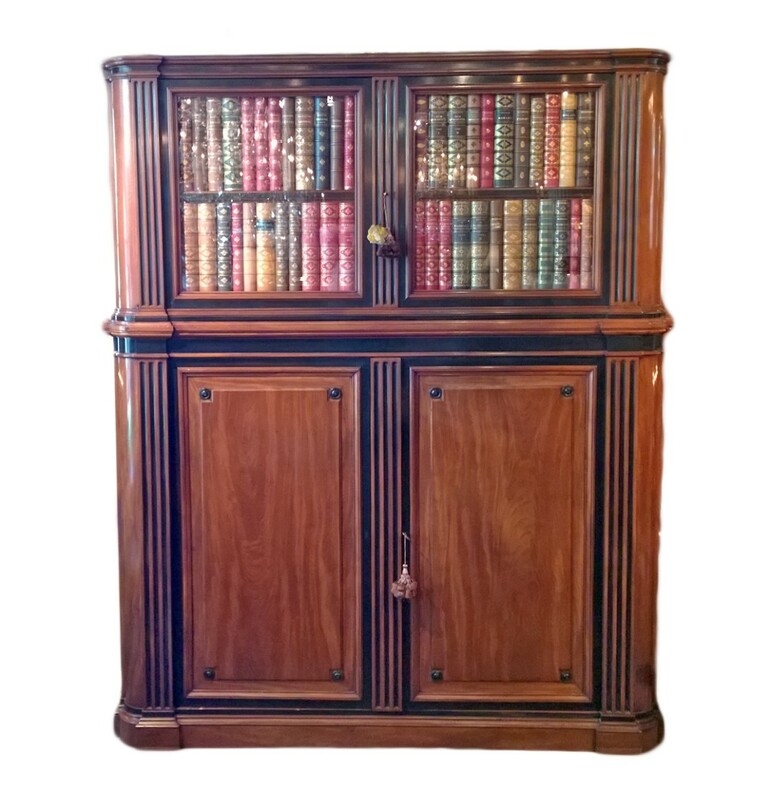 Louis XVI walnut and ebonized library cabinet. French. Circa 1850.